Collete Greer and Jimmy Westbrook couldn’t fulfill their dream of getting married in the wedding chapel he built for her decades ago. 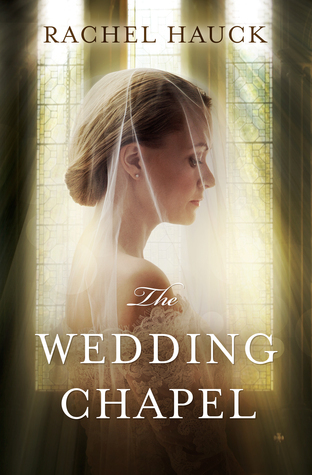 Photographer Taylor Branson, the granddaughter of Collete’s sister (Peg), who eloped with Jack six months ago, has serious doubts about her marriage and how it all started while her husband finds it impossible to express his true feelings for her. When Taylor has her chance to photograph the beautiful labor of love Jimmy created for Collete and now has set for sale after 63 years, many secrets begin to be uncovered and, along with it, the way to forgiveness and reconciliation. I chose this book because of its astounding cover. It’s beautiful! Don’t you agree? The story is really, really interesting. It’s very complex and it has some unexpected twists. I found so intriguing the whole mess characters were in because of lack of communication, and I actually enjoyed the fact I was learning how everything happened little by little. You feel in a time machine! I also liked how present and past were intertwined without losing coherence, which I assumed it was difficult to do because the narrative jumps a lot back and forth in time. The good thing is that it allowed me to understand Taylor and Jack and Collette and Jimmy emotions. However, there were important moments in the story treated too shallowly. Some big issues didn’t receive appropriate development. In my opinion, they needed more… am, words (dialogues, thoughts, narrative) to make them relevant. Besides that, I’m not sure how to say it but here I’ll try: from the very beginning you’re seeing how the story started, you’re getting to understand characters’ background; but then, some completely unanticipated things show up in present without a hint of it in the past. I mean, flashbacks are used to clarify present, right? They show the reasons behind characters’ issues. However, “present” suddenly reveals a truth that had no connection whatsoever with the past you were learning, so it seems kind of… forced or faked. Plus, those very, very hard problems were solved rather suddenly at the end, and I felt a bit unattached. So, generally speaking, for me, it’s a really good story and it has great characters, but I think it had the potential to be so much more because the plot was unique and very rich. Nevertheless, I can say I did have a nice time reading it and I applaud the dual timeline. 1. “…she’d never paused long enough to ask Him what He wanted. Deep down, she knew. Her. He wanted her”. 3. “Round and round they went (fighting), no one winning. Both losers”. RITA finalist and award winning author Rachel Hauck writes from sunny central Florida. 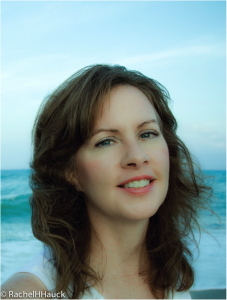 With strong southern stories, she infuses faith and real life into the lives of her fictional characters. Rachel loves to encourage new writers and is the book therapist for My Book Therapy and writing community founded by Susan May Warren. Rachel graduated from Ohio State University with a BA in Journalism. She’s and avid OSU football fan.